The 650K SmartGrade boasts a 104-horsepower (78 kW) EPA Final Tier 4 John Deere engine. 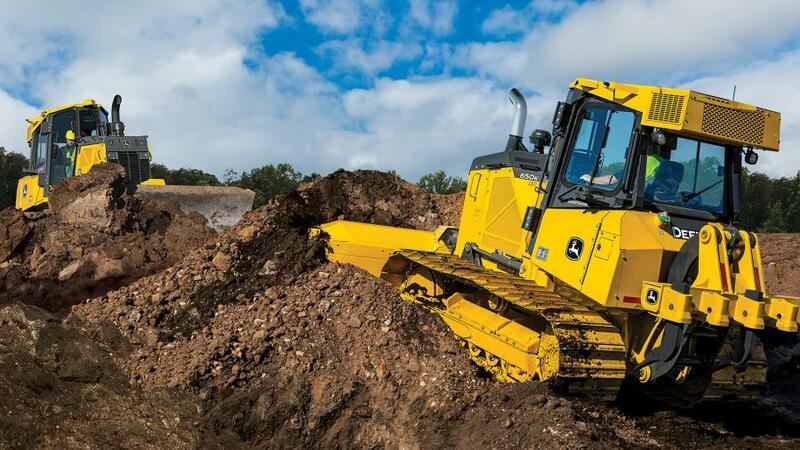 The model's cab-forward designs make visibility, safety and precise grading a priority. Exclusive Total Machine Control comes standard with this model, providing customers with personalization options and optimal comfort. John Deere SmartGrade is now available on the 650K crawler dozer, joining the 700K, 750K and 850K models equipped with the technology. The integrated Topcon 3D-MC2 Grade Control System improves job site accuracy and work quality — delivering precise grading performance while eliminating vulnerable external masts and cables. Fleet managers looking to get the most out of their SmartGrade dozers can rely on their John Deere dealers to provide Ultimate Uptime, featuring John Deere WorkSight. With Ultimate Uptime, owners receive predelivery and follow-up inspections that include five years of JDLink telematics, machine health prognostics, remote diagnostics, programming capabilities and the ability to add dealer-provided uptime solutions to create a customized package.